The moment 12 celebrities appeared on screen with their heads covered in black bags, you knew this wasn’t going to be easy! 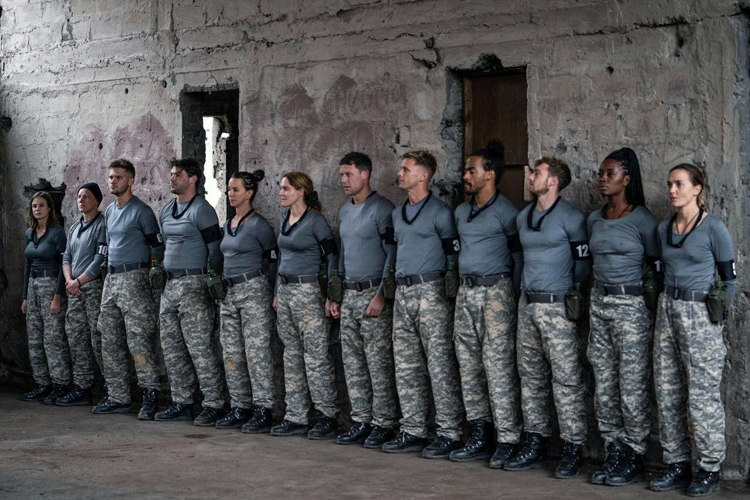 Celebrity SAS: Who Dares Wins features a selection of celebs from former England footballer Wayne Bridge to our very own Andrea being put through their paces by Chief Instructor Ant Middleton and his crew. Andrea, the eldest contestant who’s ever been on the show, said “I want to use this opportunity for a woman of this age to push myself out of my comfort zone” and boy, did she! Jumping out of a helicopter backwards into water, night-time training sessions that made you wince just watching them and a two on one boxing match makes the Bushtucker Trials on I’m A Celebrity look like a walk in a park. As Ant Middleton said “When you put people through immense pressure, you find the true them.” We just can’t wait to see how the next five weeks unfold!